Mumbai: The country’s largest independent power producer, Tata Power Company Ltd, said on Tuesday that it would buy out BP Alternative Energy’s entire holding of 51% in their joint venture Tata BP Solar for an undisclosed sum. BP Alternative Energy is the renewable energy arm of the UK-based energy firm BP Plc. 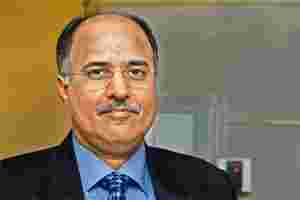 “We believe the favourable policy environment in India has led to an increase in size of the solar module and solar cell market, and it is a great opportunity for the company to grow," Tata Power’s managing director Anil Sardana said in a statement. Tata BP Solar will not be affected by BP’s decision to gradually exit the solar business and will continue to have access to some BP technology until 2013 through a separate agreement, the statement added. BP said last Wednesday that it was shutting down its solar unit, which it has been scaling back since 2008, citing continuing global economic challenges that made it difficult to sustain long-term returns. India plans to develop 1,000MW of solar power capacity by 2013, enough to power nearly one million homes. Coal-fired power plants currently account for 55% of India’s power generation capacity of 182,344MW. According to a report on the solar sector by consultancy firm KPMG India, released in May this year, India’s solar power capacity is expected to be around 68,000 MW by 2022 and it will comprise 7% of country’s total power generation capacity in that year. The report also claims that solar power capacity addition will help India avoid importing coal to the extent of 61 million tonnes a year by 2022, projected to be about 30% of the country’s total imports of the fuel that year. “It is an opportunistic buy for Tata Power when the solar power sector in India is growing rapidly and valuations are comparatively low due to the economic crisis in Europe and the United States," said R. Chandrashekhar, global chief executive officer of the renewable power consultancy firm IT Power. “Had Tata Power waited for a few more years, they would have had to pay a higher price for this acquisition," he said. In the early eighties and nineties, BP entered the renewable power sector with the strategy of going beyond petroleum, but now the company has once again decided to concentrate on its core competence—oil and gas exploration, refining and marketing. That’s why BP is gradually withdrawing from the renewable energy space like wind and solar power and biomass, which it developed over the last two decades, observed Chandrashekhar. Ahead of the announcement, Tata Power shares closed 1.92% higher at ₹ 90.25 on the BSE Ltd.